Cascade brewing has announced a lot of exciting things that will be happening in the near future. 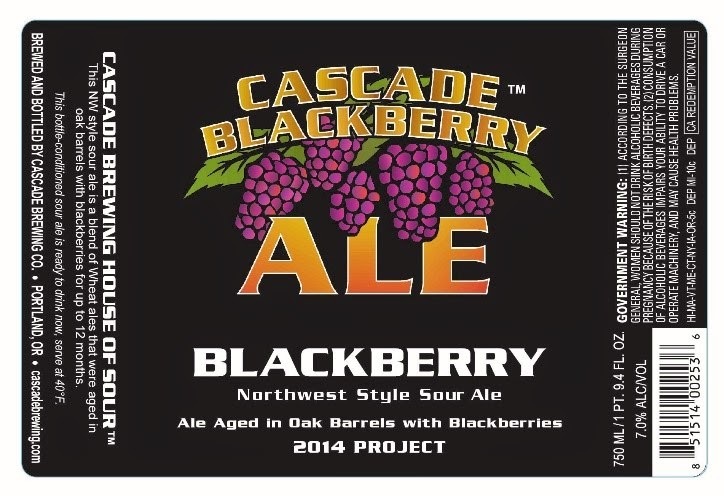 Cascade Brewing is in the process of moving all barrel aging, blending and packaging to a new facility located at 6770 SW 111th Ave., Beaverton, OR 97008. This 23,000 sq. ft. building will also be our new distribution center from which all regional, national and international sales will be shipped. The bulk of this facility has been committed to a climate-controlled hall wherein all packaging, blending and aging will occur. The hall will house nine oak foudres ranging from 50 to 65 hectoliters, as well as up to 2,000 oak barrels and puncheons. A secondary expansion is under permit review to extend the building to include a non-conditioned hall for barrel and keg cleaning, as well as fruit processing and storage. The transition will be complete by July in time for the start of this year’s fruit season. The Blending House will not have a taproom, nor will it be open to the public. The move will leave an empty space at the existing Barrel House, but not for long. SUM Design Studio + architecture is excited to continue a partnership with Cascade Barrel House that has been ongoing since the two companies came together for the initial design of the Barrel House in 2009. Since that time, Cascade’s growing brand, in conjunction with a burgeoning beer scene in the inner SE area, have placed a growing demand on the Barrel House that the owners and SUM seek to satisfy through a comprehensive expansion and redesign of the building in late 2015 and early 2016. Existing production facilities will move off-site in order to make way for amenities like a central 40’ bar with the brewery’s signature “Barrel Taps” – creating room for more than double the taps currently on hand. A “Barrel Room” will bring the unique barrel aging processes behind the beers into full view, and house small-scale gatherings and private events such as Brewer’s Dinners and food/beer pairings. In all, interior seating for the space will be more than doubled, satisfying the growing demand and making it possible to host large-scale festivals. Outside, plans are in place to create a generous raised outdoor patio with an overhead cover and heaters throughout to facilitate year-round enjoyment of the brewery’s offerings. Integrated landscaping, a variety of seating options, and expanded outdoor bar service are all designed to providing an inviting street appeal for the re-vamped building, while making every season “patio drinking season” for the brewery’s loyal following. Description: This NW style sour ale is a blend of Wheat ales that were aged in oak wine barrels with blackberries for up to 12 months. 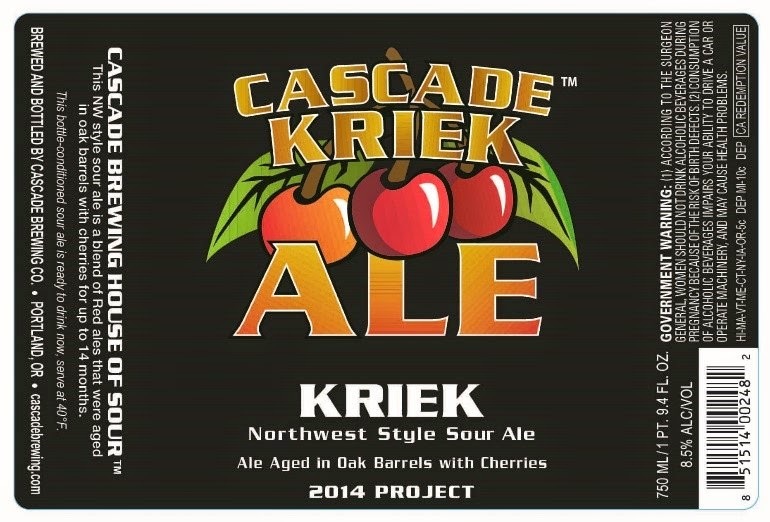 Description: This NW style sour ale is a blend of Red ales that were aged in oak wine barrel with bing and Sour Pie cherries for up to 14 months. Description: This NW style sour ale is a blend of Red ales that were aged in oak wine barrels and oak foudre tanks for up to two years. Made by combining vintages from 2011 to 2014, there is not spice or fruit in this beer. Cascade Brewing is excited to welcome Craft Brewers Conference attendees to Portland this April. We will be open regular hours, and will have two bars as well as a food station on the production side of the Barrel House, serving our beers and a variety of sour and wild beers from breweries both near and far. This space will be 21 & over and open to the public as space allows. We expect to be at capacity a good deal of the time. Owner and Founder Art Larrance talked briefly about two bills he is helping to sponsor related to the craft beer industry in Oregon. The Oregon Brewers Festival founder continues to be a strong advocate for Oregon beer even into his seventies. If you're interested in reading the two bills a link and brief description can be found below. This bill would raise the self distribution limit to 7,500 barrels per year.